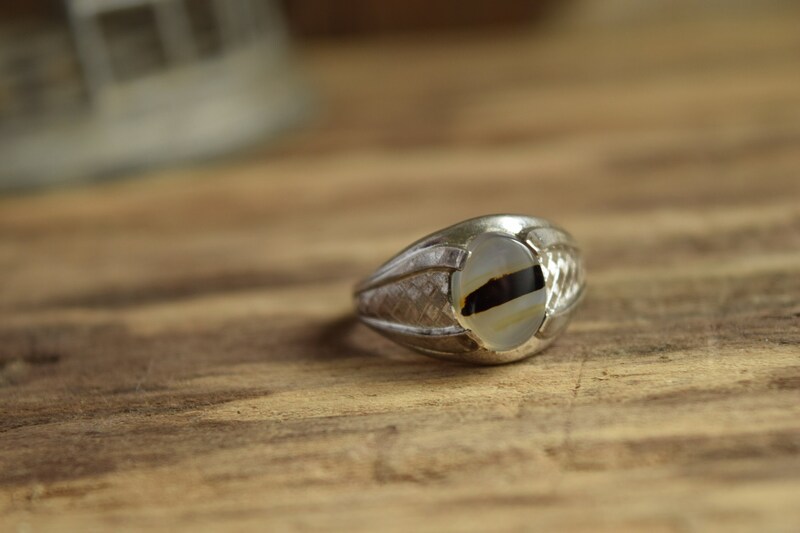 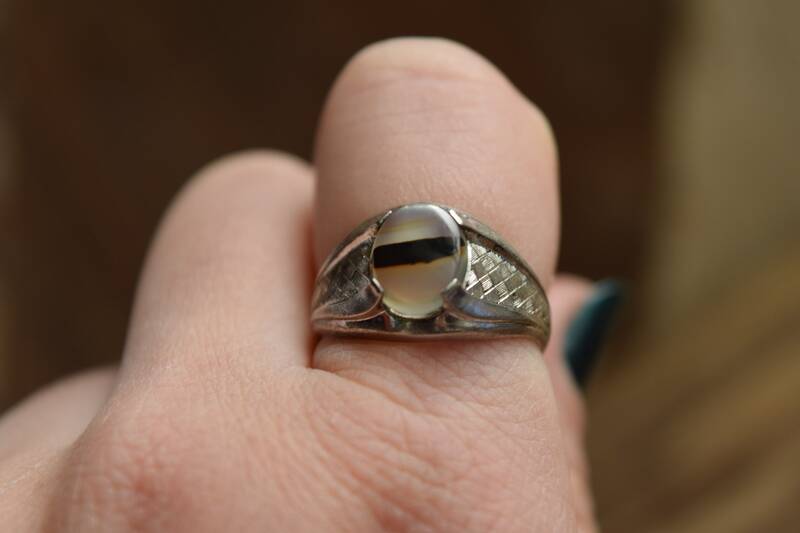 A classic stone and shape, this size 8.75 ring features an oval banded agate. 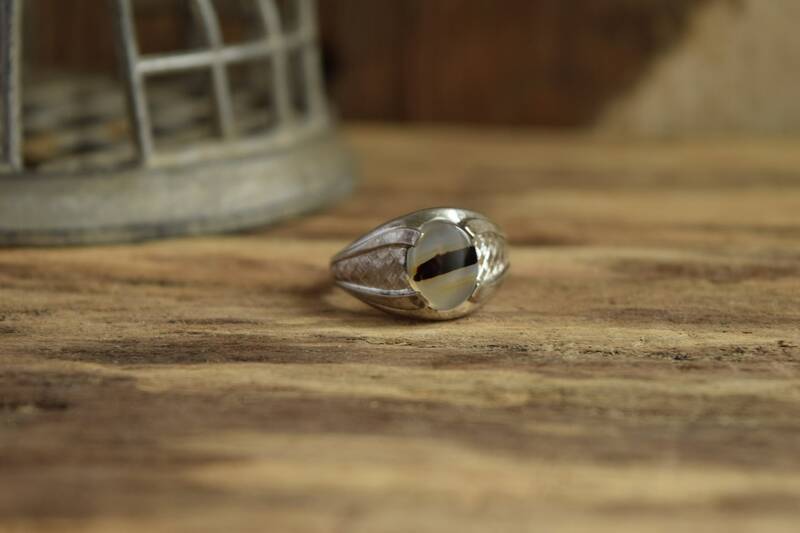 It is a wonderful every day ring for work or play. 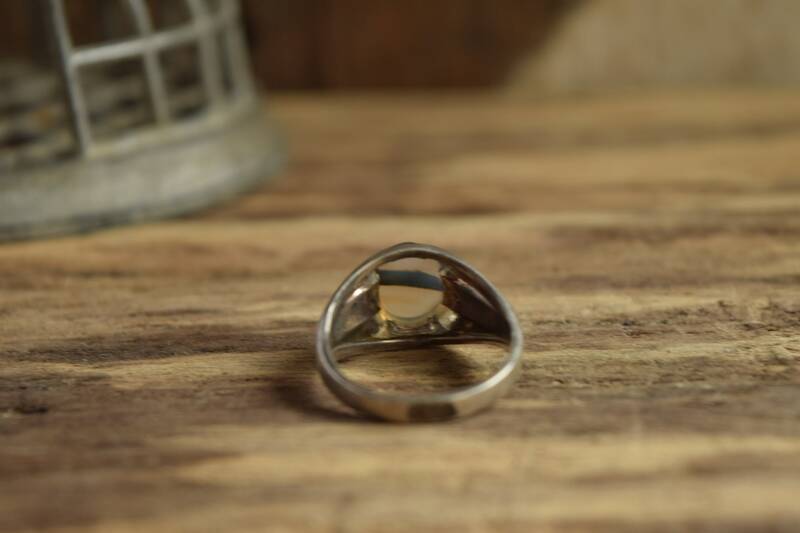 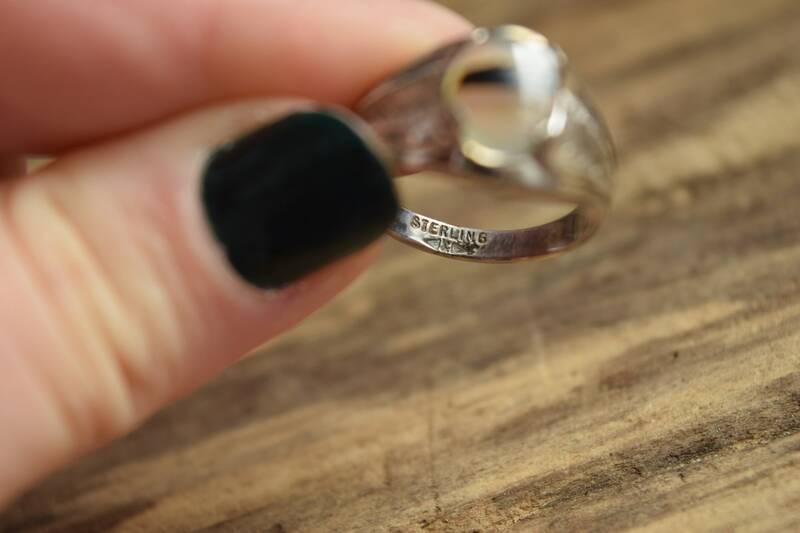 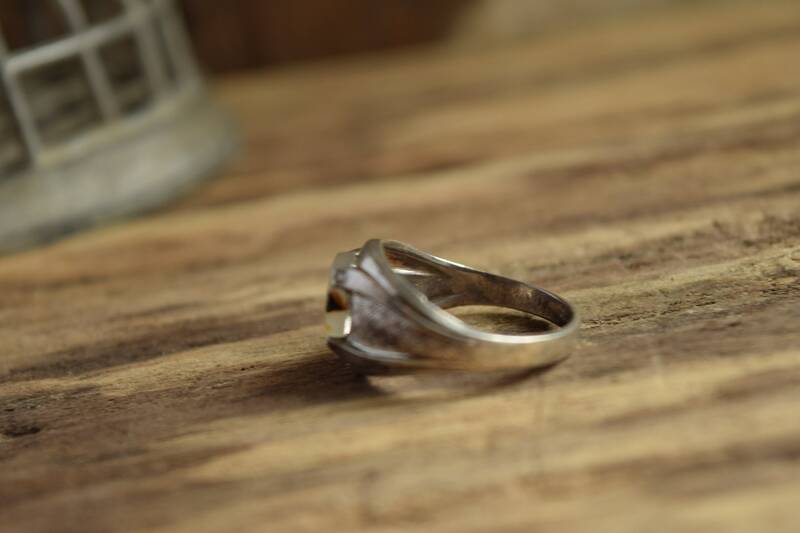 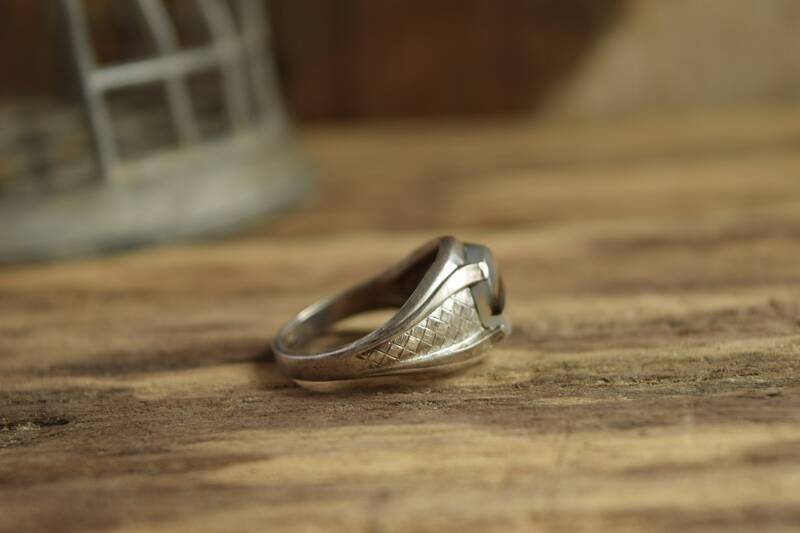 It features a sterling band, accented with hash marked square textures. 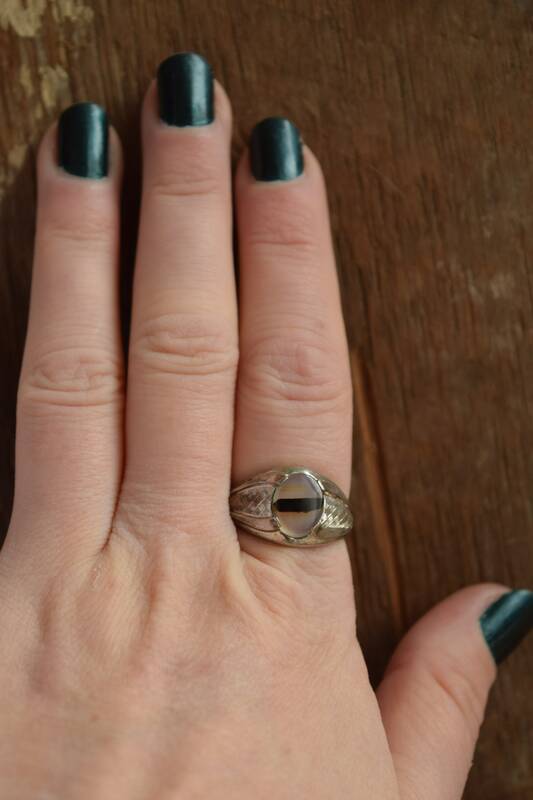 Condition: Good previously owned condition. 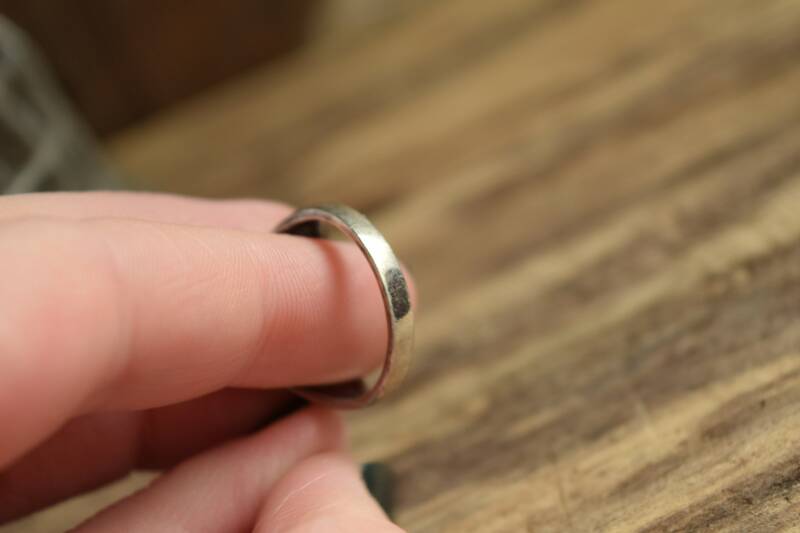 Some surface wear and tarnish on the band. 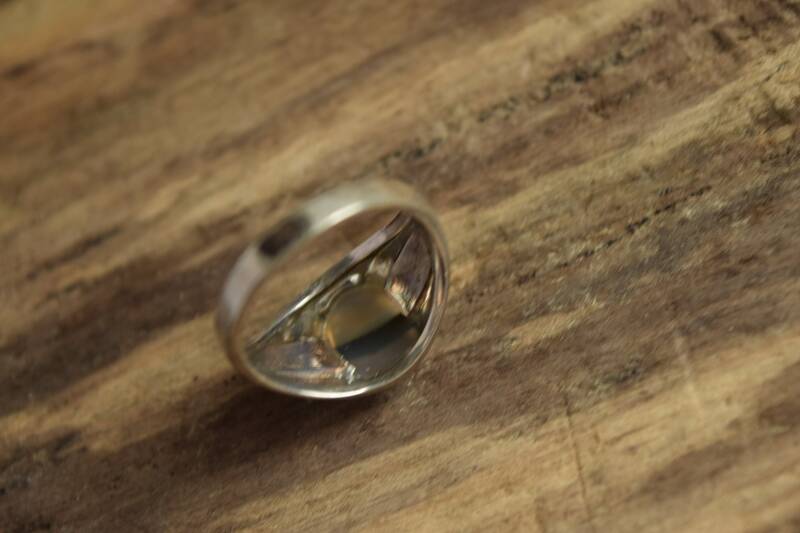 Stone is in lovely condition.